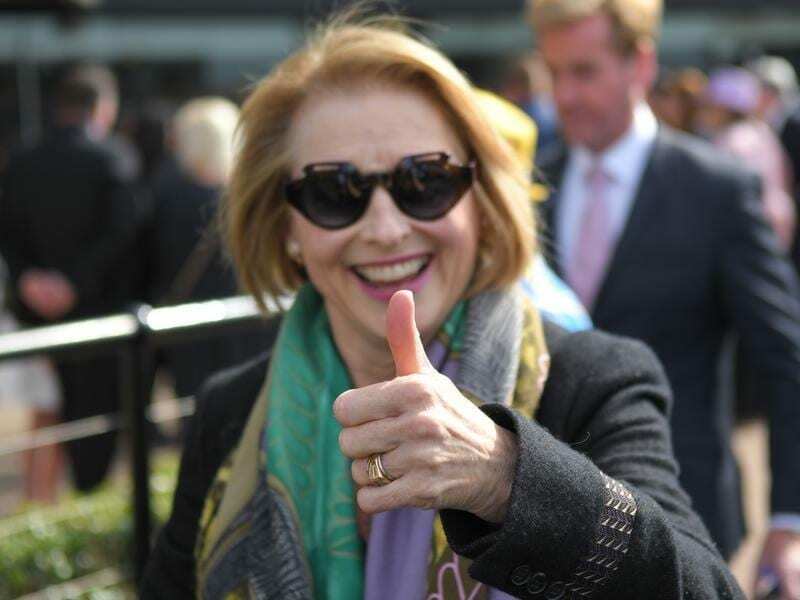 Gai Waterhouse will set a program to get import Hush Writer qualified for the Melbourne Cup. A lightly raced Japanese-bred stayer who Gai Waterhouse has Melbourne Cup hopes for will begin his campaign to qualify for Australia’s most famous race when he makes his local debut at Moonee Valley. Hush Writer was taken to the Valley for a familiarisation gallop on Tuesday ahead of his first planned Australian start in a 2040m-handicap on Saturday. A three-year-old by northern hemisphere time but a four-year-old in Australia, Hush Writer was bred in Japan and was one of a handful of horses bought as a weanling with a view to later being aimed at Australian staying races. When connections couldn’t get a licence to race the horses in Japan, Waterhouse said Hush Writer was among those they sent to France where he had three starts this year before being brought to Australia. After running second on debut, Hush Writer won a maiden and ran a close third in a Group Two 2400m-race in June when Waterhouse was there to watch. Waterhouse, who trains in partnership with Adrian Bott, has labelled Hush Writer the most exciting horse she has trained since Fiorente. Waterhouse indicated The Group Three Bart Cummings (2500m) at Flemington next month was a race likely to figure in Hush Writer’s campaign to try to earn a Melbourne Cup ballot exemption. “You’ve got to remember he’s not in the Cup, so we have to get him qualified,” Waterhouse said at the Valley on Tuesday. “We’ve got one thing to do and that’s to get him qualified. “Saturday is for him to just have a feel and get out and learn something, get the miles under his belt and a bit of prize money up. The imported Fiorente finished second in the 2012 Melbourne Cup in his first Australian start before winning the Cup the following year. “It’s interesting at the same age they rate the same – Fiorente and Hush Writer as three-year-olds,” Waterhouse said. “Because you’ve got to remember he’s only a (northern hemisphere) three-year-old but he’s very similar to him. “He’s probably a bit new.